Ethiopian Airlines is proud to announce Ethiopian Skylight Five Hotel which will officially open the end of January. “Ethiopian Airlines will have a sufficient number of internationally standard hotel rooms to create an environment conducive to tourists in addition to receiving passengers during transit, stopovers or technical delays,” Abraham Tesfaye, Ethiopian Airlines Director of Infrastructure Planning and Development. The construction of the building began in 2016. 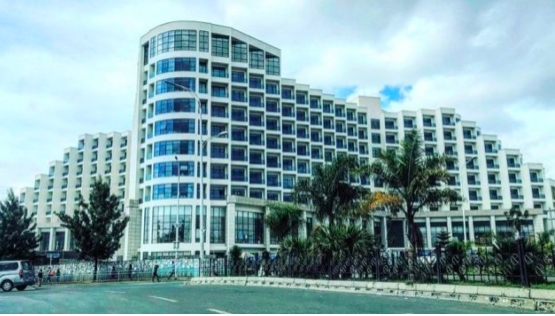 The hotel is located five minutes from the Bole International Airport in Addis Ababa, Ethiopia. It covers 42000 square metres and it has 373 rooms. We are also preparing to launch a second 5-star hotel. Construction is scheduled for 2021, this hotel will have 637 rooms.